What makes Philip Larkin one of the greatest poets in the English language? 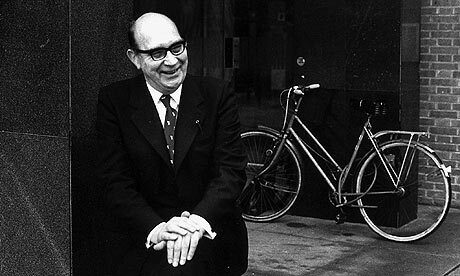 Larkin outside the university library where he worked in Hull. But what makes for literary greatness. According to Martin Amis there are two key qualifications: memorability and originality. I would add a third: humour. Michael Dirda gives an excellent short introduction to Larkin's work here.